As far as high-end, truly luxury makeup goes, Cle de Peau has always been off the table for me. 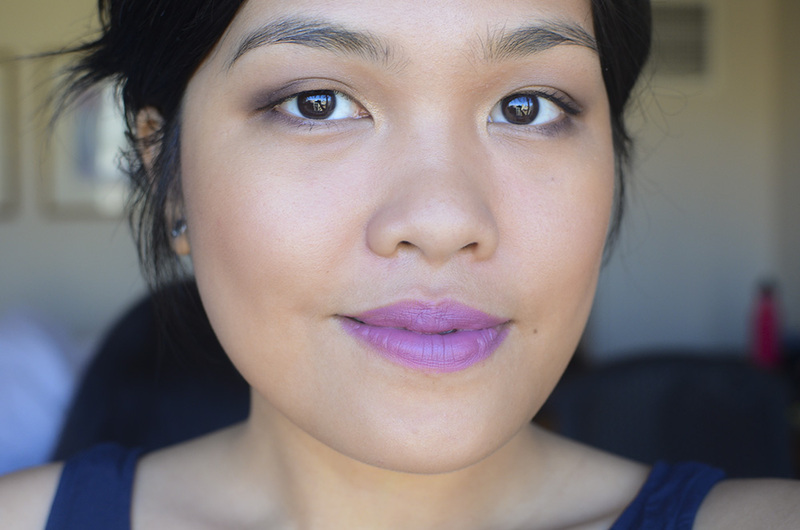 I don’t think I can live with myself if I spent $60 on a single sheer lipstick. 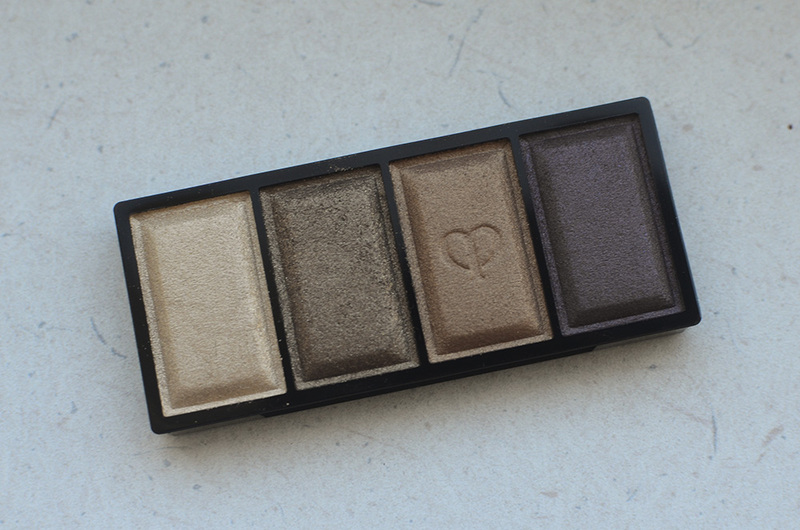 As it happened… I was at Barneys one day and made heart eyes at the new eye color quad display for Fall 2014. And then, I blacked out and ended up with one of the quads. Or, I guess I should say, one of the refills. Like I said, CdP is very much “up there” when it comes to pricing. After I came to terms with spending $50 (plus tax!!!) on an eyeshadow quad, the lady asked me if I was interested in the $25 case. Ex-squeeze me?? I don’t think so, pushy SA who shall remain nameless. The mechanism of the refill is a “pop in” instead of magnetism. Which means that these aren’t going to stick to your Z-palettes by themselves. So, I’ve been keeping the quad in its plastic shell and box… like someone who has no time to pay $25 extra for a friggin’ case! shu uemura has a similar system (their pans aren’t magnetic either), but their cases don’t go for extortionate prices. As much as I love packaging, the lack of a case doesn’t really affect the performance of this quad—thank God! 307 Stellar Gaze is decidedly warm in tone, featuring a pale gold, a warm brown, a fiery orange copper, and a deep purple. Product Description: “This shadow collection highlights and defines eyes with the ultimate in color sophistication and luxury care. Light reflecting technology enhances natural eye area contours. The texture of this quad is superb—I almost had a moment of weakness, going as far as considering getting two shades (I was smitten with 306 Silver Eclipse, too), but I checked myself before I wrecked myself. There is sufficient pigment, an ease in blending, and of course, quite unparalleled beauty, which is pretty noteworthy considering the pans are housed in a transparent plastic case. Would I get another quad? At this stage in my life, probably not, but I do love the one I have right now. I think I picked the right color for me—phew! 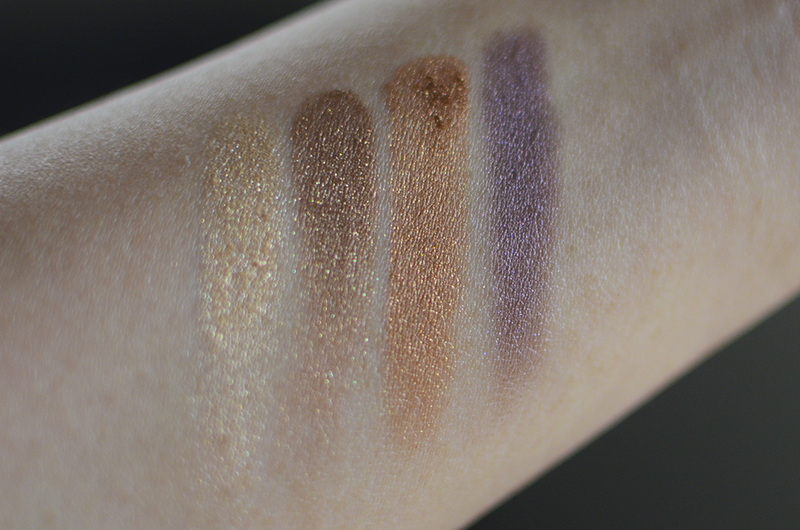 You can see all of the quads swatched here and here. Great pick, Carina! I’ve been eyeing Satin Moon. But no, I wouldn’t purchase the case, either. I think it’s annoying that they sell those separately, at this price point! RIGHT? It’s like “JUST GIVE ME THE DAMN CASE, CHEESUSSSS.” Anyway, thank you! And I love the look of Satin Moon. 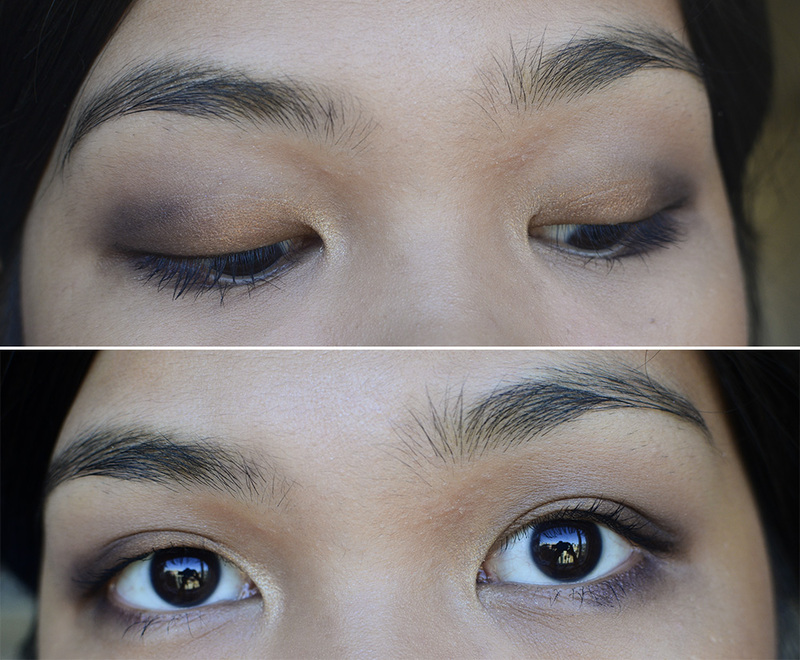 I have this weird thing where I overlook the nice neutrals (even though I love using them?) when it comes to quads. Stella Gaze is perfect on you! You’re making want to get this quad so bad! I’m a big fan of these, and without the cases, they cost lower than the Chanels and Diors in Taiwan. Sadly I didn’t showcase your self restraint and got 3 (302, 303 and 308) when they launched :S guilty love i gots it! 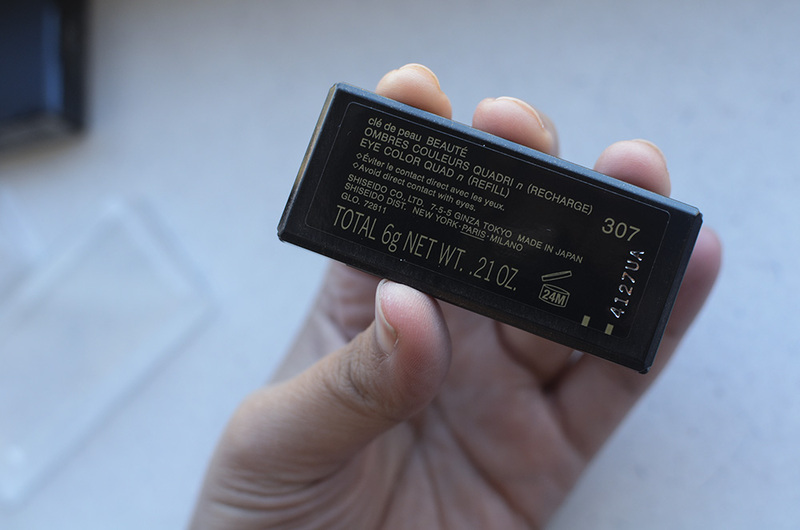 I would buy refills/pans only, if they were available here for cheaper. Haaay. THEY ARE SO PUSHY. I get mad when I think about it, lol. I really, really like his one, though. The more I think about it, the more I’m like, “YAAAAAS.” Haha. Next PostSoftly Sometimes just turned 2!